When Cade was born, blood was taken from his umbilical cord. A lab analyzed this blood and sorted his chromosomes. 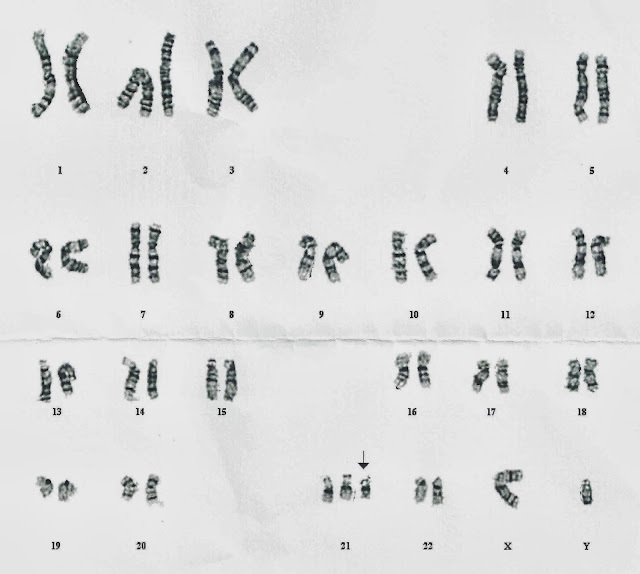 Here is a photo that I consider miraculous: Cade's chromosomes. This photo is a karyotype, basically a mapping of the chromosomes. This map tells us that all of Cade's chromosomes are normal, or typical, except for #21. 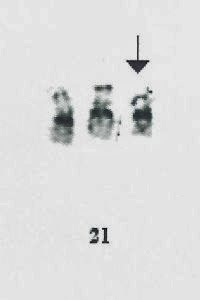 There are three copies of #21, resulting in "Trisomy 21", commonly known as Down syndrome. I teared up too... 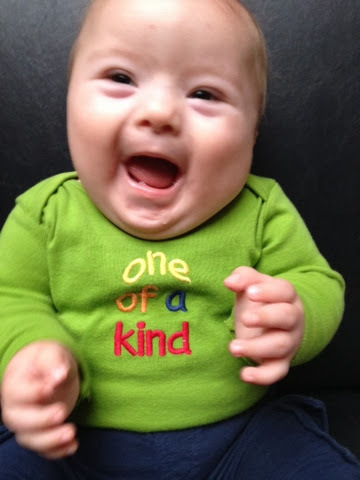 I don't know why people would abort a baby just because of a chromosomal abnormailty as down's... those people should see this blog, because your baby is PERFECT! he is so cute. his smile is intoxicating. That 3rd copy of #21 seems to have given him 3x the charm! He is such a sweet little man! I need to snuggle him again!